With two yarn retreats in the bag, Casey Feldstein is looking forward to running her third one at Cadbury by the Sea's Vista Del Mar hotel on the Monterey Peninsula. This time, each knitter will get a Mystery Bag of knitting materials to turn into a personal project. But Casey gets tangled up in another retreat at the same hotel, when the organizer and his wife have a very public spat. As Casey is delivering her baked goods later that night, she finds the woman dead in the bushes with a magician's silk scarf nearby-just like the scarf Casey's ex-boyfriend, Sammy, used during his magic act at the retreat. 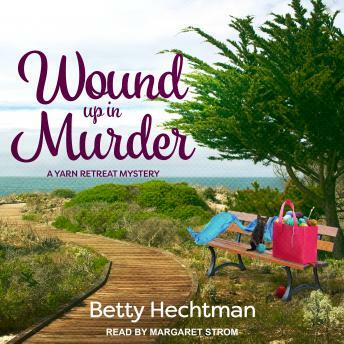 As Sammy takes center stage as the prime suspect, Casey and her friends will have to stitch together the clues before the real killer pulls a disappearing act . . .